Nova Build is a sleek, bright, spectacular build sure to please any dedicated binge streamer! Many long-time Kodi fans will recognize the great Pulse CCm build in its layout and function. Aptly named, the Nova build is one of the most explosively bright stars to hit the Kodi community lately. If you enjoy being on the cutting edge of Kodi, then you’ll be pleased to know this may be the best Kodi 17.6 build available right now. From the development team at Simple Build Wizard, Nova build is an eclectic collection of top performing Kodi addons. This fantastic build, reminiscent of the late, great Kodi Pulse CCM build, utilizes the eye-catching Xonfluence Kodi skin. Nova is compatible with Kodi Krypton 17.6, and should get a Kodi 18 Leia update very soon™. If you’ve been to this rodeo before, here are the deets to get you up and running lickety-split. Remember to enable unknown sources in Kodi and take advantage of the other privacy-protecting suggestions in the linked article. Check farther down in the article for a more detailed walkthrough of the Kodi Nova build installation if you need it. 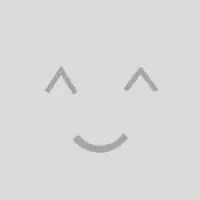 Type http://thelittleguysco.net/kodi/, click OK, name it little guys and click OK.
Click Kodi Add-ons > Add-ons browser > Install from Zip File > little guys. Click the plugin.program.SimpleBuildWizard.zip file to install and start the Simple Builds Wizard. Check Settings, click Continue > Build Menu and choose Nova 2.0 > Standard Install > Yes, Install. Once the Kodi Nova build download is complete, click Force Close. Upon next starting Kodi up, give the build a few minutes to fully populate menus and place graphics required for the skin. Pop open a cold one, connect with your IPVanish VPN app and anonymously watch whatever strikes your fancy. Now you know a little about what to expect from Nova Kodi from Simple Builds Wizard. 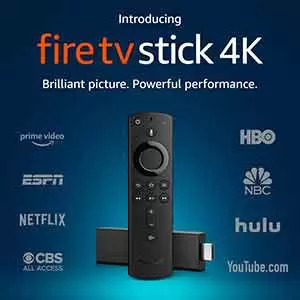 Follow this MTM step-by-step guide to install it on the Amazon Firestick, Fire TV, or Cube. If you’re one of the early adapters, you’re really going to love this, as it’s definitely one of the best Kodi 17.6 builds available. As a security feature, Kodi does not automatically allow installations from third-party developers. It’s necessary to enable unknown sources within Kodi 17.6 Krypton before installing this Simple Builds Wizard, or Nova Kodi build. This has been true since the first release of Kodi 17 Krypton. The Nova Build is currently coming from a trusted source with no malicious intent, but you should always protect yourself when installing third-party apps and addons, downloading, browsing, or streaming movies, TV shows, and even live sports events online. As mentioned earlier, Nova build is available in the Simple Build Wizard repository. First, we must provide the source location to Kodi and then install the Nova build from the repository by using the wizard. Please note that Kodi wizards and repositories are each considered a form of an addon. Open Kodi System settings page by clicking on the gear cog icon. Click File Manager, located in the bottom-right. Then, double click on Add source. Click on the first text field labeled <None>. Then, carefully enter the http://thelittleguysco.net/kodi/ URL and click OK. In the box under the source that you just typed in, enter the name Little Guys for this media source (any other name you’ll remember this source by is alright, also) and click OK.
Return to the Kodi home screen and click Add-ons menu item. Click the small open box icon at top left under the Add-ons heading. This is called the Add-on browser and is used as a Kodi addon package manager. Then, select Install from Zip File. Select Little Guys (or whatever name you assigned the media source in the previous section). Once the Simple Build Wizard add-on installed pop up appears, the wizard is installed. The Simple Builds Wizard will start automatically, though you can find it in the Kodi Add-ons >> Program Add-ons directory if you choose to quit now and install the build later. Feel free to read and heed the Rohas Updates dialog, then either dismiss it or ask to be reminded later. Enable any Settings you would like implemented in the build in order to clear or save various Kodi resources and settings, then click Continue. Click Build Menu once prompted to do so. If you decide to install later, feel free to click Ignore. Simple Builds Wizard can be found in the Kodi Add-ons >> Program Add-ons area to be started up later for a build install. You will simply need to navigate to the (Rohas) Builds area within the Simple Builds Wizard to install a build if you come back toit later. Select Nova 2.0 for install. After the download is complete, click Force Close. Success! You’re now ready to travel through space and time while streaming free movies, TV shows, and live sports with Nova! While your Kodi Krypton installation may have just got a great make-over, remember Nova will also be one of the best Kodi 18 builds once updated by it’s developer! Nova Kodi Build: What Should You Expect? Gathering its content from the top Kodi addons containing free movies, TV shows, Sports, Fitness, Live TV and more makes the Nova Build a truly diverse offering. This build may be our favorite for Kodi 17.6, and just may be the best Kodi 18 build available at this time. If you know of a better one, please let us know in the comments below or at our Twitter account! Movies: This section includes an extensive collection of classics. Addon specific sub-categories, for example, Oscar Winners, Theater, and Action make this section easy to navigate. TV shows: The user-friendly interface makes this section easy to browse. The latest and classic TV shows, in the best video quality, are offered here. TV shows are subcategorized based on different genres, including trending, comedy, reality shows, new shows and more. Sports: Is stuffed with content including a huge list of channels. Options for both Live Sports and the prerecorded episodes make this section super popular to sports enthusiasts. Sub categories include Sports Zone, Sports Devil, Not Sports and more. Fitness: This section is unique in that it acts as a companion to your fitness apps and includes subcategories such as Yoga, Health, and Fitness, Fitness Zone, Fitness Center, Extra Fit and more. For a cross-fit experience take advantage of addon specific sub-categories. Live TV: Due to its simple design, it is very easy to navigate through the subcategories of this section. It contains a collection of all the live networks and channels. The Nova build features a whopping collection with some of the best working Kodi addons available today. What’s the Very Best Kodi 18 Build? Before we conclude this MTM guide, we would like to direct you to some other great Kodi builds just in case you don’t immediately fall in love with the Nova Kodi Build. We seriously doubt you’ll lose interest in this spectacular build anytime soon, though part of the human condition is to always want more. We can always give you more, and we aim to please. Check our Best Working Kodi Builds article for the latest and greatest. The Nova build for Kodi 17.6 is the greatest for many, but everyone’s flavor recognition and appreciation is unique to them. Gone are the days when you had to pick your favorite Kodi addons and add them one-by-one to your device. We now have top performing builds with full collections of fabulous add-ons built in. Privately Enjoy Your Favorite Shows Streaming With Nova!